What’s the point of coming up with information architecture or a model to describe behaviour if it isn’t useful? Models should help you understand and make decisions – they’re a means to an end. IA is a means to an end too – it helps people make sense of stuff. I’m going to share with you how we’re using my model of navigation that I’ve written about previously. 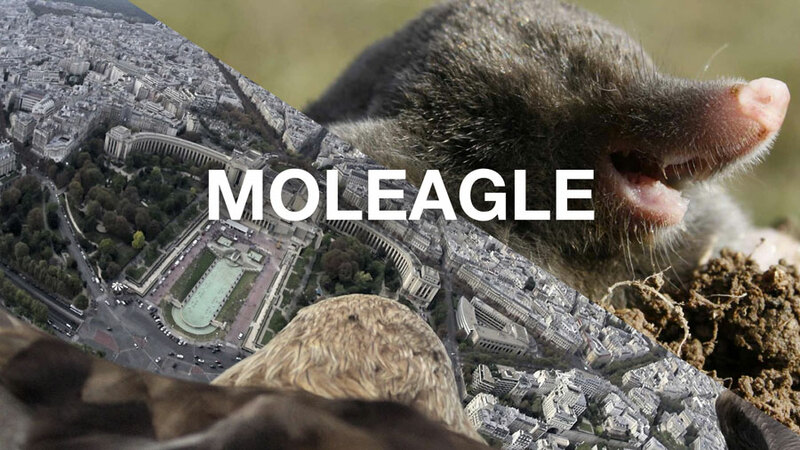 The legendary Moleagle is a creature I first learned about from my colleague Charlotte Edwards. She described a creature equally at home with a 1,000 foot view as they are when they’re buried in the detail. I think most brilliant IAs are actually Moleagles. They’re comfortable with strategy and the tactics that you need to devise to deliver that strategy. My model of navigation is designed for Moleagles. The modes help you to consider the overall flavour or feel of your product or service. 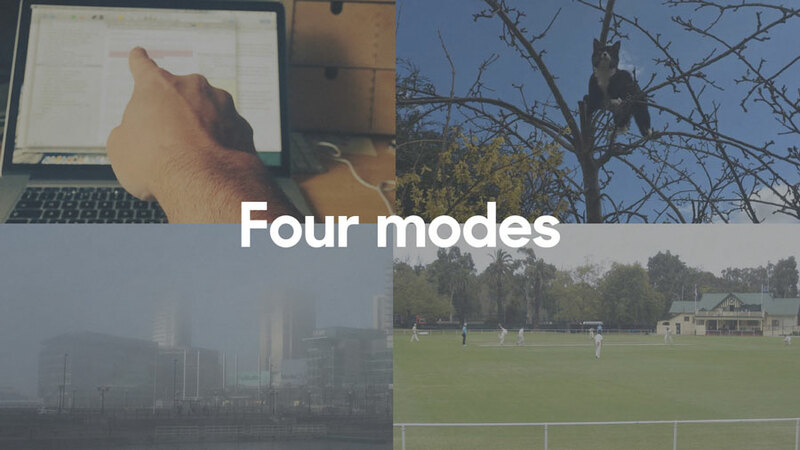 Using the modes you can zoom out and understand the primary mode of your user and the primary shape, structure and feature-set you should probably adopt in response. A product or service with the primary mode of motivated movement is likely to be well-ordered, structured and stable. It’s therefore predictable – it enables your audience to construct a detailed and reliable mental model of your structure. It changes rarely. So users are confident and empowered to move around with precision. This kind of product empowers an actor to move through it. They feel a fair degree of ownership over the IA – so make large changes at your peril. Your product is probably highly structured – probably using a hierarchy. Your menu is important. If your primary mode is Delightful discovery your product or service is more likely to change. This might be for different reasons. Maybe your primary offer changes regularly – commerce sites with high churn on promotions, news sites where the focus and main stories shift – your product is likely to be driven to surprise or inform the audience (rather than quickly satisfy as you’d expect for motivated movement). You should probably provide multiple discovery methods. And you need excellent support for orienting. Your structure and design should support conditioning – the process an actor undertakes to understand a structure and information architecture. You should also use consistent labelling – manage your vocabularies tightly, but allow for freedom and flexibility in discovery and navigation methods. If your primary mode is within the realm of foggy finding then you need to ensure that interactions are either highly motivating or over quickly. Consider how you might support or encourage transitioning into a secondary mode – but don’t assume this will be easy, you’ll need to design for it if you really do primarily sit in Foggy finding. It might seem odd that a product or service would choose ‘foggy funding’ as a primary mode – but consider things that are very new, or services that are accessed using voice interfaces – sometimes your primary mode might fall into this category. These products and services have potential to frustrate, so design to overcome or avoid this. Lots of products and services might consider that their primary mode is actually ‘not necessarily navigation.’ We all know that it’s the content that often counts. But this model is about navigation, so be careful before you confirm that your primary information-related mode is ‘not necessarily navigation’. I’ve always thought of this as a secondary mode which helps you to think about the seams between content and navigation. But there might be some scenarios where you want your navigation to feel fairly invisible. Maybe you’re using content as navigation. Maybe you’re a route planning service and maps provide the information and the means of navigating. The important thing to consider is how you place navigation at arms reach, so that it’s in the background but available when needed. So that’s the Eagle-eyed view at 1,000ft of your primary mode. Over the next few posts I’ll describe how you move from Eagle to Mole to create your own model that enables strategic planning and tactical intervention and maintenance of your own behaviour-driven navigation system.